The Garrard DD75 is a direct drive transcription turntable and pickup arm. It allows manual record play but additionally has an opto electronic trip system which triggers pickup arm lift and motor switch off at the end of a record. 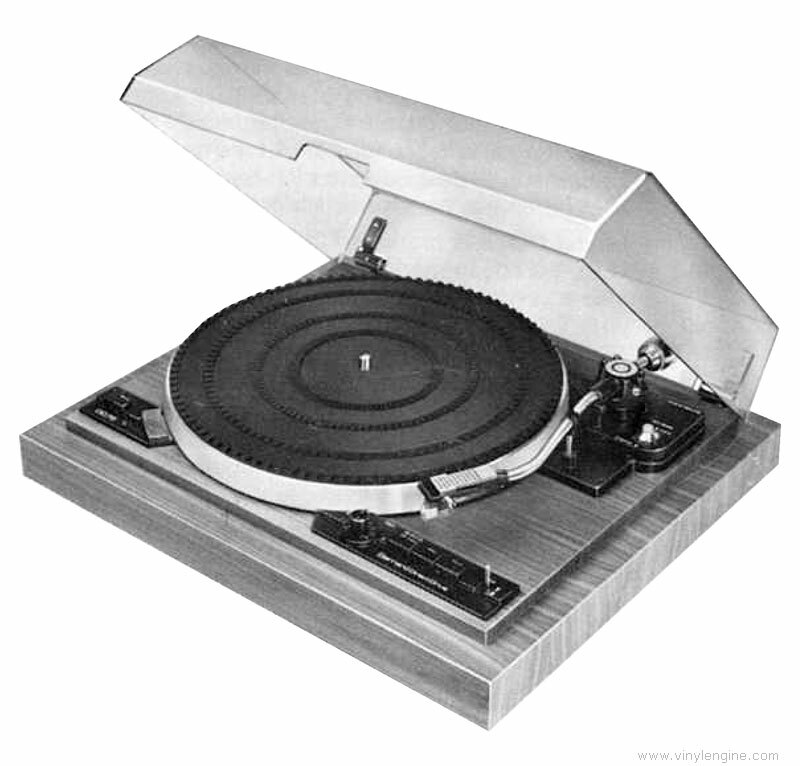 It has a diecast, balanced aluminium turntable mounted on a direct drive motor. The motor is servo electronically controlled to provide 33 and 45 rev/min turntable speeds, also a +/- 3% pitch control (about a semitone). The pickup arm is of the swan-neck, offset type with jewelled cross bearings. It has a miniaturised Garrard Type C5 cartridge slide which accepts a wide range of cartridges, also a direct-weight counterbalance system and a separate dual calibrated, anti skate dial. The plinth is normally of veneered wood construction with an additional clear, vinyl coating. 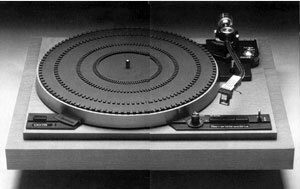 The plinth and record deck, mounted on anti vibration feet, form a module unit of low resonance characteristics. The module unit incorporates plug-in connecting leads and strain relief clamp, the phono leads being of low capacitance suitable for CD-4 type quadraphonic equipment. A dust cover which features notably compact friction hinges completes the package. 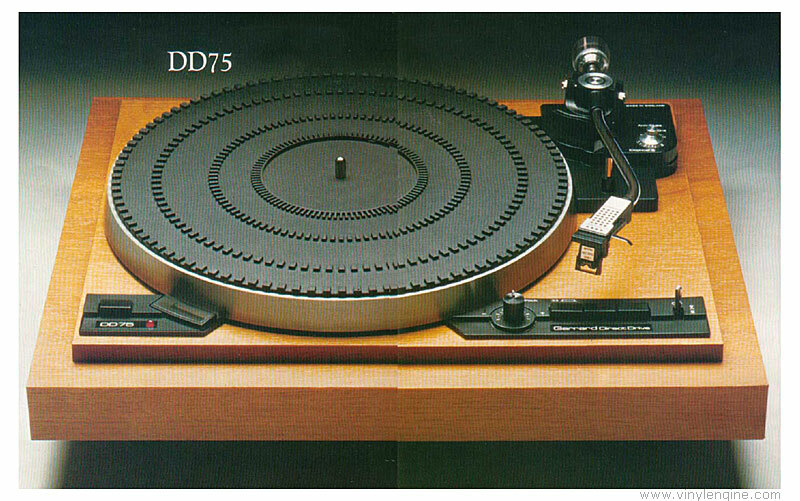 Garrard DD75 / DD-75 owners manual, service manuals and schematics are for reference only and the Vinyl Engine bears no responsibility for errors or other inaccuracies. The PDF files are provided under strict licence. Reproduction without prior permission or for financial gain is strictly prohibited. This website is not affiliated with or sponsored by Garrard.